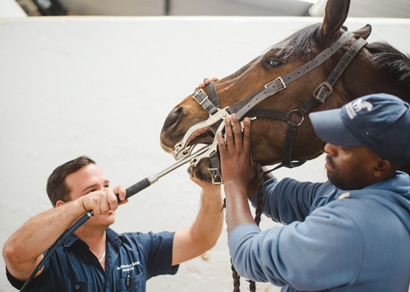 Summerveld Equine Hospital is a +- 2000 square meter hospital facility with 20 stables, treatment room, pharmacy, office, reception area and shop. The fully equipped surgical suite means that all surgeries are monitored using a cardiocap monitor and a positive pressure ventilator. 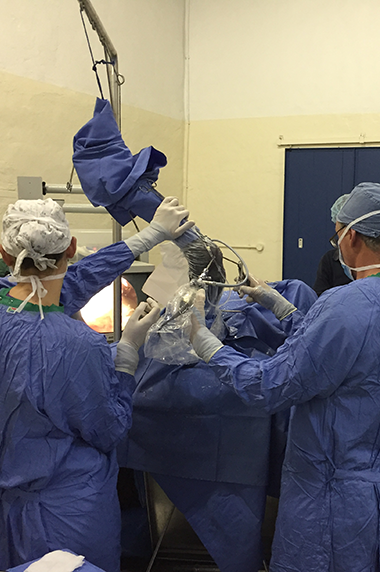 Surgeries such as arthroscopies, wind and colic operations are performed successfully on a regular basis. 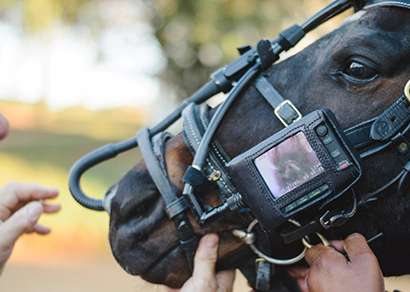 Advanced eye surgeries are done in conjunction with a visiting veterinary ophthalmologist. A fully padded induction and recovery room ensures the patient recovers from anaesthesia safely. 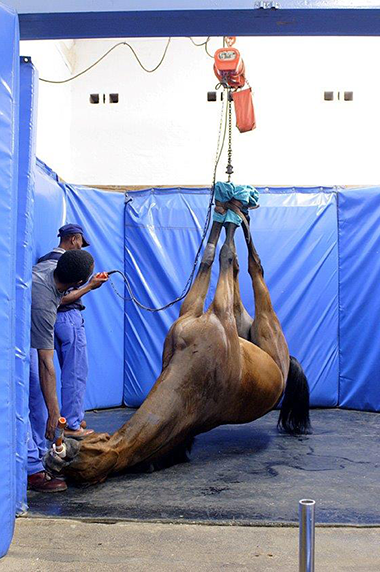 Two intensive care stables with fluid hangers and a viewing window from the all-night duty room. Quarantine block for any patients with infectious diseases. 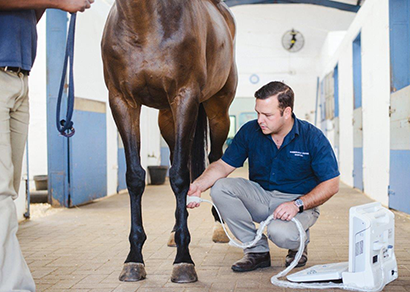 Digital Radiography using a portable digital machine for quality images. Digital Ultrasound using the latest ultrasound machine with various probes (2.0 – 10 megahertz) to scan abdomens, eyes, tendons and pregnancies. Endoscopy, these procedures are done regularly, using numerous portable flexible scopes. To identify Gastric Ulcers, Tumors, Obstructions etc. 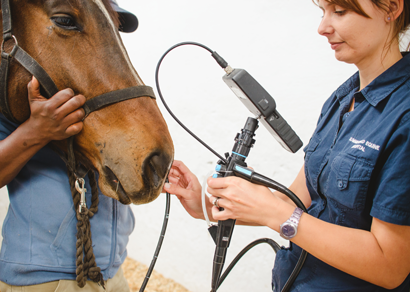 Gastric ulceration is a known disease that affects competition horses, most commonly race horses. 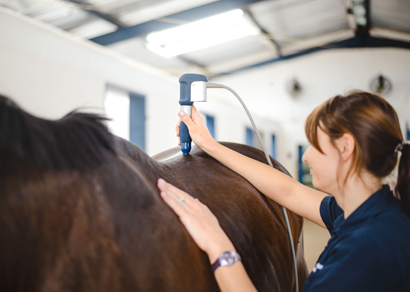 Gastric ulceration is a serious condition that causes poor performance, anaemia, lack lustre coat and weight loss. The only thing that we know in fact about gastric ulcers in race horses is that YOU NEVER KNOW WHICH horses have them until you scope them. For example the trainer never suspected his 3 year old race horse that just finished second in a 1400m race had an ulcer. However the gastroscope revealed a GRADE 5 BLEEDING ULCER!. GASTROSCOPY CAN ALSO IDENTIFY TUMOURS, INFECTIONS, OBSTRUCTIONS, OESOPHAGEAL DISEASES SUCH AS CHOKE AND SWALLOWING PROBLEMS. 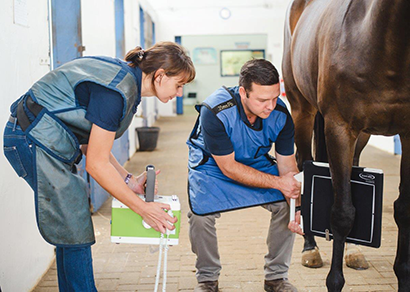 To help injured athletic horses return to performance quicker.